Happy Saint Patrick’s Day – Mark Loves History! Today in History, March 17: 1780 – “The General directs that all fatigue and working parties cease for to-morrow the SEVENTEENTH instant,” read the orders, “a day held in particular regard by the people of [Ireland].” General George Washington’s Army was bedded down amidst 6 foot snow drifts, suffering through the worst winter on record…even worse than Valley Forge. Recently the Irish, who were also in rebellion against the Crown, had declared themselves AMERICANS in solidarity with the American colonists that were fighting for their independence. At least a quarter of Washington’s army was Irish…and a vast majority of his commanders shared that distinction. 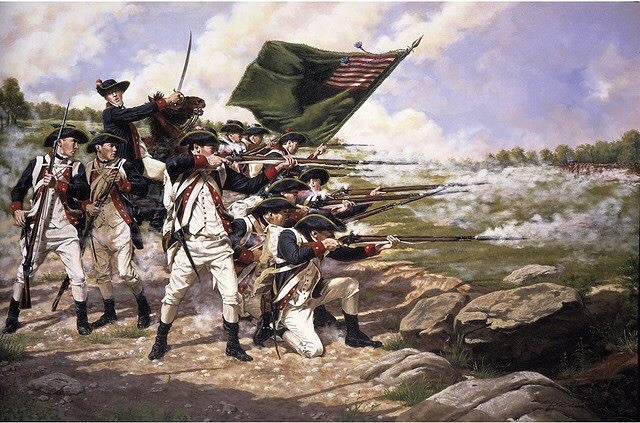 So GW decided that St. Patrick’s Day…(not Christmas, nor Easter)…would be a day of rest and celebration for his army.